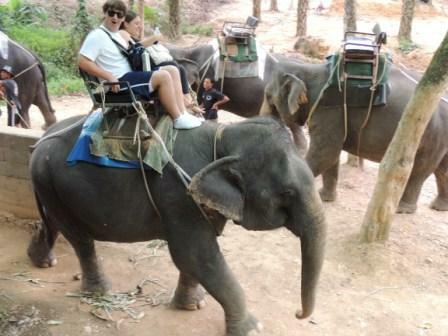 A group of twenty students from America ventured to Southern Thailand to participate in a number of activities that allowed them to experience the different aspects of Thailand. They started by volunteering for five days at the Burmese Learning Center in Kuraburi where they created an inspirational space in the library by painting a world map on the wall, painting pictures on the shutters and creating shelving units for books. They also spent time with the students and even learned traditional Burmese dance! Another day full of smiles and laughter was spent at the beach and a waterfall where all the students got to swim, eat and have a relaxed time to interact. The five days were full of games, laughter and a communion between two cultures! 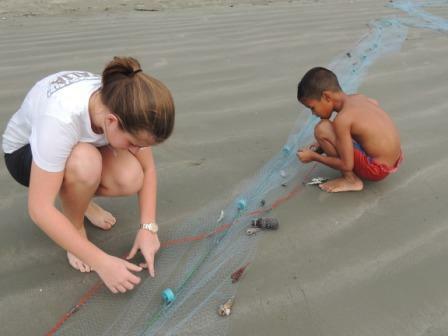 Their next adventure led them to Ban Tale Nok village in Ranong. Here, they participated in a homestay that allowed them to understand and share in the Thai culture. 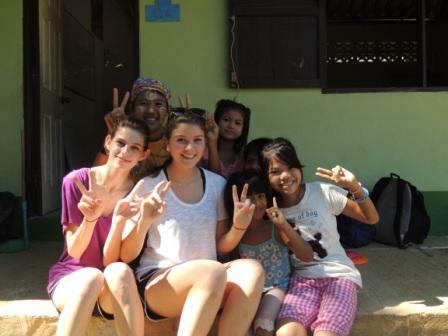 They were also able to integrate into a Thai village for two days and participate in activities like making natural soaps, fishing at dusk on the shore of a beautiful beach and creating batik artwork. One night the students and families ate a giant barbecue feast while watching the sunset. 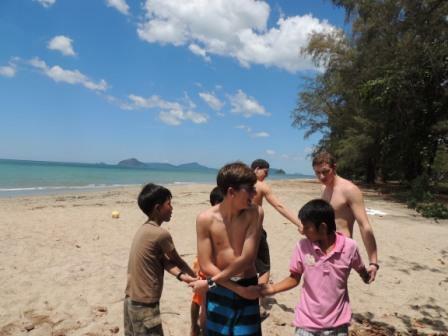 The students played with all the village children! It is special to see relationships form in such a short time! The next adventure took Ross school to the beautiful and pristine Koh Surin where they stayed in tents at the National park. They also did a Moken tour that allowed them to truly understand and participate in the activities of these amazing people. They went snorkeling and were led by a Moken guide to beautiful underwater worlds. The students were able to try their hand at spear fishing and rowing a traditional Moken boat. 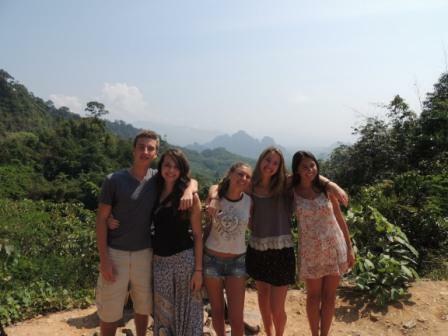 The last activity took them to the mystical area of Khao Sok National Park where they were able to learn about the history and environmental factors that helped create this pristine environment. They rode elephants through a flowing stream and participated in a night safari that allowed them to see the creatures that roam in the dark. 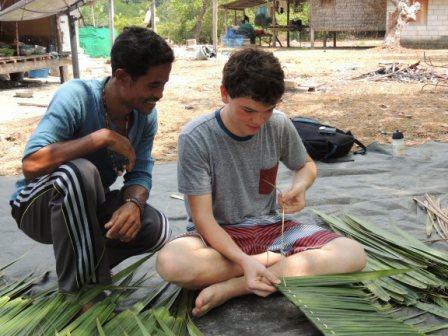 They were able to experience a jungle survivor where they learned the many uses of bamboo, like making fire, boiling water, cooking rice and curry. Before hiking back they cooled themselves in the fresh stream. The trip ended with a candle lit ceremony next to a river with giant limestone cliffs towering above the students’ heads. It was a time of learning, sharing and growing that touched the Ross students and all the people they came in contact with!! !